H. 11 1/2 in. ; W. 10 in. ; Diam. 7 in. “Boston Fusilier” solder in red jacket on one side and “United We Stand, Divided We Fall” on the other, with eagle and shield below spout. 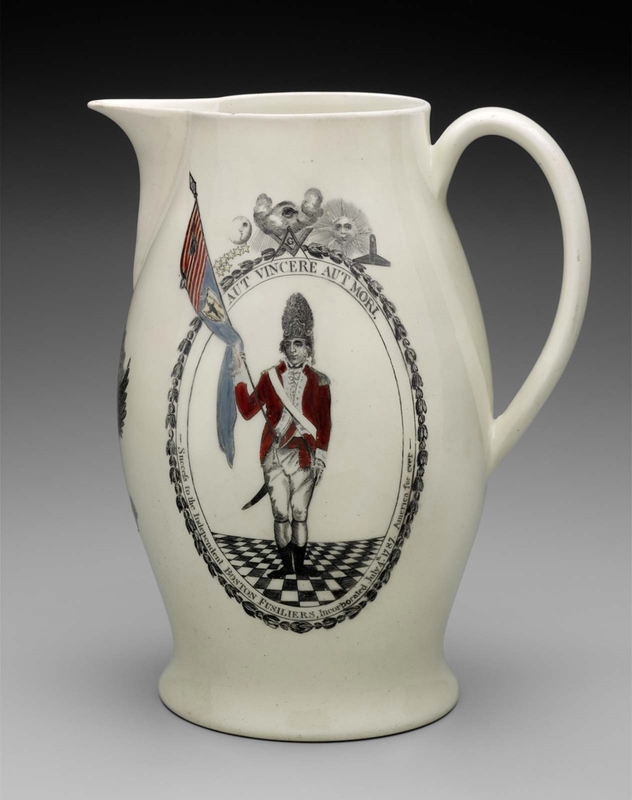 At the time, he was captain of the Independent Fusiliers of Boston.